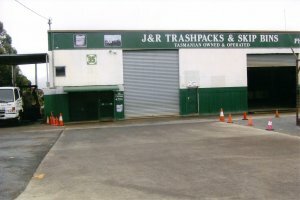 J&R Trashpacks launches its new Website! We are a family business that started way back in 1982 with only 2 trucks operating. Today we now have 7 trucks on the road, 5 for Trashpack collections and 2 for skip bins, employing a 10+ strong team. We offer a 4 weekly JR Trashpack service in all areas from New Norfolk down to Dodges Ferry, to Margate and in between. Check Areas We Cover for more information. You can arrange earlier pick up of your Trashpack if required. Just get in contact with us to organize collection! 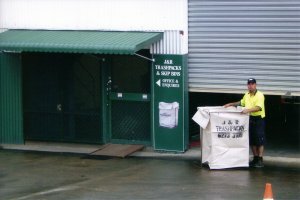 New to our business is JR Skip Bins which is very exciting and growing all the time. 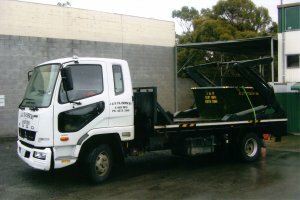 At a very competitive price, we supply 2 or 4 and 6 cubic metre bins to your house or business for those larger jobs, such as renovations or just clearing around the house. We are proud of our business offering competitive prices, customer service and our name speaks for itself. Thank you for visiting our online home, and we look forward to hearing from you. Wayne, Phil, Rod and Darren Boxall.